TAMSYN | December 2016 Artist of the Month Winners! Probably one of the newest, coolest, and most talented ofIndie Artists to hail from Manchester as of late are our December 2016 Artists ofthe Month: TAMSYN. This is a band who defied all odds in our fan voting panelon our December 2016 Starlight Music Chronicles event page on Facebook and werevoted in by our judges for the win. Why? Because they are insanely talented! We often find Indie Artists fare better on our judge voting panel because the panel consists of professionals who have vast knowledgein the music industry. Our decisions are not primarily based on social medianumbers and fan votes, they are focused on the Artists history, musical background, branding,and talent. This month was incrediblytough to decide a winner for December and will probably result in a carry over for our2017 AOM events. With that being said, TAMSYN seemed to have that ‘somethingspecial’ about them that stood out for our Judges. Their sound evokes a time when the discovery of IndieArtists in Manchester was like finding a pot of gold at the end of the rainbow: the punk-rock-Brit-pop period of the 1980’s. Bands like New Orderwere discovered in this same time period and TAMSYN has that New Order sound yet, they are completely stand alone and original in their make-up. 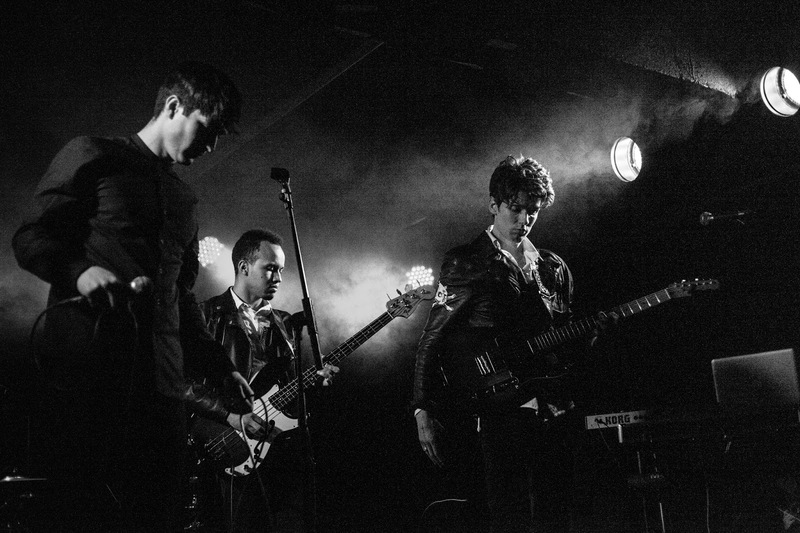 The band consists of Alexander Anton (vocals), MichaelPenfold – (rhythm guitar & lyrics), Phil Hammill (lead guitar), JoelCheetham (percussion), and Zacharia Taylor-Fray (bass). 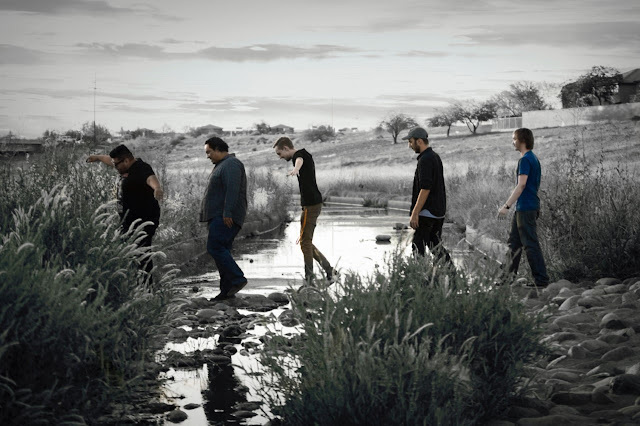 Michael, Joel, and Phil(brothers) originated the band and the addition of Alex, Joel, and Zach completethe epic sounds of TAMSYN. 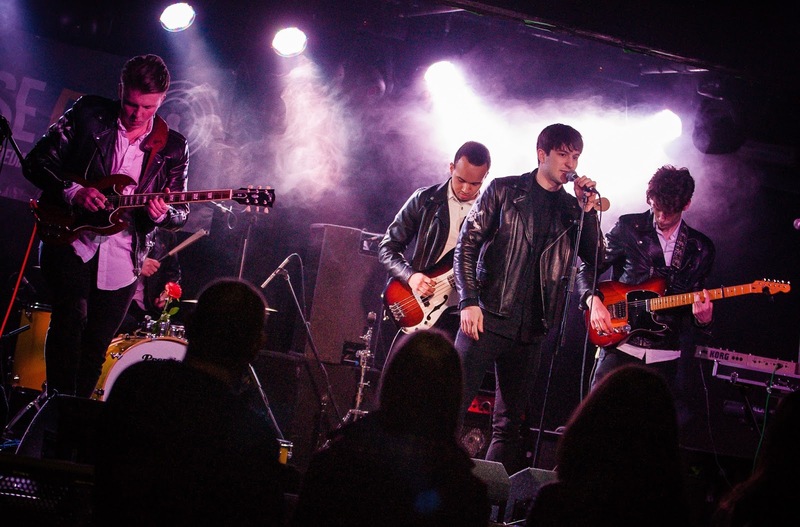 The bands self titles EP released this year andsince, they have been aired on BBC Introducing, made it to the top 10 in theSoundwaves Music Competition 2016, and now have our Starlight Music Chronicles Artistof the Month win under their belt. We assure you, this is a band that iscaptivating in its execution, completely original in sound, and dynamic inpresentation and presence. If I had to describe this band in one phrase it would go like this: the haunting and romantic sounds of TAMSYN are the New Order of the millenium - their sound, look, and vibe will enrapture you instantaneously even after only hearing one song it will leave you wanting more. There is no end in sight for this band and there is no doubt that they will absolutely go the whole distance with their music career! SMC - Hello TAMSYN! Welcome to the SMC AOM Alumni! Wherewere you and what was your reaction when you found out you were our DEC 2016AOM winners? TAMSYN - Hello! We were delighted to be chosen as yourartist of the month for December! As an unsigned band, it really is lovely toreceive recognition for our work so thank you very much. We were actually onour way to a radio interview when we got the news so it was an excellent gee upbefore we went and performed live on air! SMC- So let's get into the chronological history of theband. Can you tell us how TAMSYN came to be? TAMSYN - We started life as just Michael, Joel and Philjamming away in various projects a few years ago. Once we built up a collectionof songs we felt could lead somewhere we needed to recruit a singer and bassistwhich is where Alex and Zach came in! 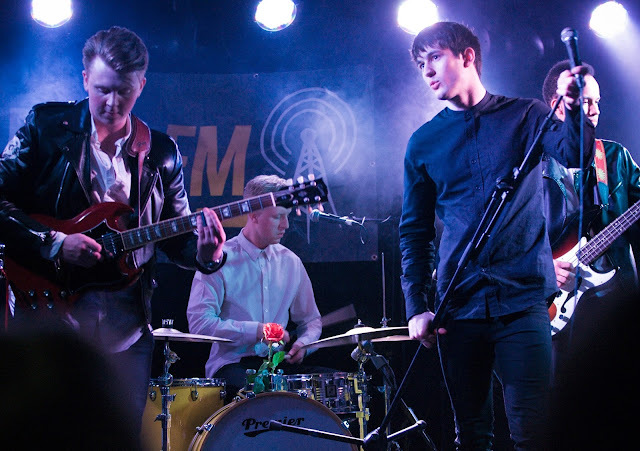 Alex had just arrived in Manchester fromAthens with the purpose of finding a band to emulate his idols from the citysuch as the Smiths and Oasis. Zach has recently started at Salford Universityto study music and was looking for a band to join, luckily, he found us! SMC - We see you were on BBC. Tell us about how that cameabout for you. TAMSYN - The BBC here in England have a brilliant set upwith their Introducing shows giving unsigned artists the opportunity to havetheir music heard. We had been trying to upload ours to the Manchester one fora while with no luck so decided instead to try Merseyside. Thankfully for usDave Monks heard ‘Want You To Care’ and played it on his show. For us it’s sorewarding to have our music selected for such a prestigious platform and we’revery grateful to have these outlets supporting us. SMC - Your song 'Things Change' was launched on YouTube inSeptember. We LOVE the video! You have that Grease T-Birds Bad-Boy thing goingon.....is this your everyday image? TAMSYN - Thank you! Ha-ha our everyday image isn’t quite asT birdy! We felt with we needed a costume for the video that reflected thetimeless, classic nature of our music combined with our modern tastes. We chosethe stripey tops as they seemed a bit more fun and cheeky than plain tees orshirts with our TAMSYN jackets. Our everyday image is more relaxed and casual! SMC - The song itself is gorgeous and reminds me of NewOrder.....it's a very fresh sound! Tell us what the song writing process for'Things Change' was like for you. TAMSYN - Thank you very much! The song underwent a lot ofchanges in the writing process, which influenced the name! It originallystarted life as a very basic track called ‘Lost To Be Found’ but it just seemedto keep evolving. We began trying the riff with a slide before experimentingwith dynamics and a swing beat. Even in the studio we added parts on a lapsteel and included some keys too until it all just seemed to come togetheruntil we were left with the finished song which we are all very proud of. SMC - The whole self-titled EP 'TAMSYN' is actually abeautiful work of art....you have made a HUGE fan out of me! I am looking at possiblycoming to England next year too....can you tell me where I might find youperforming live? TAMSYN - Thank you! We’ve got a huge gig at ManchesterAcademy 3 in December this year and are currently in the process of bookinggigs for 2017. We can’t say too much just yet but we have some exciting thingsin the pipeline which will hopefully be announced soon. We aim to play twoshows a month if we can so you will definitely be able to come and see us! SMC - What do the next 3 months look like as far as careergoals for more video content, touring, etc? TAMSYN - We are in the process of planning a new video forour next single ‘Want You To Care.’ We’re aiming for a release in the New Year.We’re teaming up again with our director from ‘Things Change’ Jack Dearsleywith a view to making this one even bigger and better than the last! Not onlyare videos a lot of fun to shoot, they really are a fantastic way to get yourmusic out there. We have also opened discussions about recording either a newsingle or EP next spring and will absolutely be booking as many gigs as we can. TAMSYN - It was an incredible experience! We applied onlineand were invited along to an audition which we passed. There were two moreauditions to get through before the final and we believe nearly 400 bands originallyapplied so to make the last 10 for us was crazy. The final took place at the O2Academy in Leeds with an audience of around 500 which was a massive show for usat the time. It was a real pleasure to play on such a large stage so early inour career! SMC - Can you tell us some fun facts about yourselves thatyou would like to share with our fan base? TAMSYN - We have a few! We do all have a band tattoo (it’sthe skull and cross bones found on our jackets) which serves as a symbol of ourbrotherhood. Alex was once an academy footballer for AEK Athens, a formerschool choir boy and is currently a model for Manchester based modelling agencyMaverick Models. Our drummer Joel is also an accomplished actor and show tunesinger, currently starring in a local production of Alfie. SMC - I saw that you are connected with some of the notablesin the music industry here in North America. We have a few friends in common onsocial media.... can you tell us about who of these industry connectionsinspires you? TAMSYN - Absolutely. We believe we are mutual friends withyourself and music writer Rebecca Singer. Rebecca was one of the first peopleto find us and gave us a brilliant interview on her site. Getting heard is oneof the hardest things for unsigned bands so we are extremely grateful to havepeople like Rebecca and Starlight out there working hard and taking the time tosupport what we’re doing. It’s the greatest pleasure for all artists to receivesuch fantastic backing and it gives us great confidence moving forward, helpinginspire us to release more songs as soon as we can! SMC - If you could tour with anyone of your choice who wouldthat be and why? TAMSYN - We would love to tour with acts Radiohead,Morrissey or the Libertines as they are some of our favorite artists and aswell influencing us they are accomplished musicians and performers. Morecurrent bands like the 1975 would be a lot of fun to tour with also. They havedone really well to create their own style and sound and audiences seem to begoing wild for them! SMC - What kinds of collaborations would you like to do inyour career? TAMSYN - We would love to collaborate with some of ouridols. Johnny Marr for example has played with both the Cribs and the LastShadow Puppets in recent years and having his experience and expertise can onlyhelp improve us as a band. However, we might also like to push our boundariesbeyond our genre and collaborate with artists with vastly different styles.People like Lady Gaga or Bruno Mars are doing brilliant things and it would befun to see if we could come up with something interesting with them. SMC - I see you are from Manchester! That's a reallyhappening music scene! I also know that it can be competitive too. Can you tellus what your experience is like in the industry there? TAMSYN - It is a fantastic scene here in Manchester. There’sso much history and support for indie music. Our experience has been very good.Promoters here are great for organizing live music nights and there are plentyof brilliant bands to help sustain the scene. Festivals like Sonder, which weplayed recently really brought the whole music community together here and wasa shining example of the talent and interest in music around the city. SMC - What is a 'Day in the Life' of TAMSYN like? TAMSYN - We’re incredibly busy but it’s great! We all jugglework, uni and girlfriends around the band but we still find time to rehearseand gig. We all socialize together too which helps, we’re a band of brothers.Whilst we are highly dedicated to what we do we still manage to keep things funwhich is very important. SMC - Can you tell us the inspiration behind the band name? TAMSYN - The name just seemed to choose us. When wedissolved our old band, we were trying to come up with a concise, catchy name.We noticed a lot of our songs were about girls and at the time there was a girlcalled Tamsyn around. We didn’t name it after her but Joel and Phil alwaysfound it an intriguing name and something about a group of boys with a girl’sname seemed to fit the general themes we were writing about. We wrote it downand we felt like it looked good on a poster. We tried the Jools Holland test onit too (where you have to introduce your band with your best Jools Hollandimpression) and it passed so TAMSYN it was! SMC - What would you say is your most challenging thing whentrying to break into the music scene? TAMSYN - Getting your music to people who would be your fansis always a challenge. Luckily for us social media helps us find like mindedmusic fans to share our songs with. Instagram and Twitter are great to discoverpeople who love the bands we do and thankfully lots of people seem to bechecking us out which is fantastic. Hopefully we can keep building and reachingout to people and writing songs that matter to them. SMC - Our Artists of the Month will all go into an annualArtist of the Year competition in June of 2017. Now that we have three Artistsalready in our AOM Alumni, and 4 more months to go (February - May 2017) howwell do you feel you will fare in this annual event? TAMSYN - We hope we fare well! We know you folks haveexcellent taste so we understand it will be a strong category. We just focus onourselves though and don’t worry too much about awards (as lovely as they are! )We just want to keep improving and really being considered at this moment intime is award enough in itself for us! If we win we’ll be delighted but we’resure whoever you pick will deserve it! SMC - How do you feel about music competitions in general? TAMSYN - They’re fun and it’s nice to be recognized butwe’re not hugely invested in them. For us music is more about community thancompetition. We have still enjoyed the competitions we’ve been in and they havebeen invaluable experience for us. They’re also a great way to see what otherartists are doing, current trends and give us ideas of things we should bedoing ourselves. SMC - Okay, final question: If you could give one piece ofadvice to anyone beginning a music career what would that be? TAMSYN - Don’t be afraid to fail. Just keep experimentingand trying things out and if things go wrong (which they will) trust thatyou’ll get them right next time. It’s taken us a lot of gigs to understand howto make our live show work and as well as the last EP went there’s so manythings we’ve learnt in the process to make the next one better. It’s importantto remember that you do this because you love it so when you are lucky enoughto be on stage or in a recording studio it’s vital to enjoy the moment. Theharder you work, the better you get which is something we’ve found has stood usin good stead. Be patient, trust your judgement and make things happen foryourself. DaveIt Ferris | November 2016 Artist of the Month Winner! SMC - Welcome DaveIt Ferris to the Starlight Music Chronicles Artist of the Month Alumni! We are thrilled to have yet another brilliant talent from the UK on our forum. Can you tell us where you were and what your thoughts were when you found out that you were our November 2016 winner? DF - Thank you! It's a cool accolade and I’m thrilled to have the title this month! I was at my friend Noel's house after a night on the town when I was scanning my facebook and seen that I’d won. As I was reading the comments, I heard a 'pop' behind me, which was the sound of Noel popping open a bottle of champagne for the occasion. It was a great ending to a great night. I had been following the public vote sporadically, so to get the nod as the overall winner was excellent and I want to thank everyone for voting for me in the online poll you ran. SMC- So let's go into a little bit of your career history.... can you tell us how you evolved as a Musician? DF - Music started for me when I was about 14/15 and my sister started dating a guy called Kevin who would leave over his Greenway, Nirvana, Bon Jovi and Def Leppard CD's. Suddenly upon listening to these gems, music was no longer background noise to me. I obsessively listened to every one of his CD's that I could get my paws on until he just pretty much just gave me his entire collection. I can't say at this age I had any aspirations of being a professional musician, but suddenly I found myself as the lead singer of a school band, which changed everything. From singing in this band, I was spotted by an older local band that actually played shows around town and I became their singer. It was pretty fun to play until midnight in a bar knowing I had school the next day! Being around instruments so much made me decide to start learning guitar and I became obsessed with it very quickly. I bought a tape recorder and just wrote and recorded riffs and 'songs' as soon as I got out of school [I still have the tapes!] - so in essence, my adoration for songwriting came via the journey of trying to learn the guitar. When I was 17 I attended music college and formed a band as part of the course with absolute strangers, who have all become lifelong friends. This was the first time I was in control of the songwriting of a band and I loved the pressure it brought. That band fell apart due to members leaving the music course, but I now had a taste for being the frontman and songwriter of a band, so it only took me a couple of months to form my most successful band to date, 'Mascara Story'. Within a year of forming this band, we were crowned the 'Unsigned Band of the Year' by the UK's biggest music magazine, Kerrang! Because of this, we went on to play festivals [such as download and t-vital], release a single that charted, made a video, signed a record deal and did a handful of tours. It was a really good time that ultimately fell apart due to personal, not professional or musical, differences. The day after this split, I formed a band called 'Rescue the Astronauts' that took everything I learned in Mascara Story and amplified it up a notch. After only a few months together, we had supported Fall Out Boy on our debut show and released an EP that I still appreciate to this day. I guess the final musical chapter since then has been this 'solo' phase. In early 2008, after many musical projects stalling due to other people, I decided to be as DIY as I could so that I’d only have myself to blame. In that year, I wrote, recorded, produced and ultimately released 5 solo records [and my first poetry book]. It felt very empowering to be solely in the driver’s seat and being able to make things happen without needing the universe to lineup with 3 or 4 other people, you know? Since 2008, I have approached most of my creative works alone and as lonely as that sounds, it's how I work best. 2014 and 2015 have been my most fulfilling years as a musician and as a creative due to the '365 Sparks' project [in which I wrote and recorded 365 original songs in a year]. I think that material is, without a doubt, the best stuff I’ve ever done - on a songwriting level, performance level, lyrical level and production level. That pretty much brings me up to current times. Phew! SMC- What would you say it the biggest challenge as a Musician in the UK today? DF - There's just so much competition for everything that it's difficult to stand out from the crowd without sacrificing your true sound, true identity or true spirit. I've seen and heard musicians change all three when their natural way of being wasn't bringing career elevation quick enough. This wouldn't strictly be a UK thing though as it happens everywhere these days. DF- '365 Sparks' was a musical recovery for me. It was inspired by an event that nearly took my life in October 2013. In short, over the course of one day, I went from being out on a nice walk to gradually struggling to breathe in the evening. Around midnight I had no other choice than to go to the Hospital because I was getting a tiny bit of oxygen every minute and felt myself slowly suffocating. In that waiting area, I was already making a checklist of my possessions to pass on should I not make it through the night. Thankfully I was pumped with steroids and fluids and all kinds of things to get through the night. I ended up spending a near week in the hospital, mostly unable to eat or drink, and would come to find that what I had was 'Supraglottitis' - which is essentially when a large ball forms at the bottom of the windpipe and if left untreated with completely block the airway and you suffocate. My specialist told me I was mere hours from this happening, which is a scary thought. Whilst on that hospital bed, knowing how close I came to dying, I decided that my next project would be massive, my best work ever and that which would define me. If I had have died that evening, I would have taken 20/25 half-finished projects with me to the grave, so I made a pact with myself to ensure I focused on 365 Sparks until completion - and that's what I did. It was my light in a real dark period. SMC - We also saw that you ARE 100% the creative individual behind 'DaveIt Ferris'. From first concept in lyrics to the final output in graphics and content. Wow! What is the driving force behind this? DF - Well, 'Daveit Ferris' is just me and I don't see that changing anytime soon. As previously mentioned, it's been a completely DIY journey up to this point. I've written, performed, recorded, mixed and mastered all the music myself. Alongside this I’ve made my websites and graphics and videos too. blah blah. I love the challenge and saddle myself with responsibility all the time. Being completely in control of what I sound like, how people see the visuals and websites…..is very powerful and very exciting. In a band context, I’d happily sacrifice this level of control to make it more of a democracy, but when you make the decision to work under your own name, you have to be fully in control as no-one is going to worry as much about bruising that name or reputation than you are - it just comes with the territory. DF - Over the last year, I’ve found myself with a lot of 'quiet' time in the mornings. My mornings usually start at 5am, so it's deathly quiet. For obvious reasons, I cannot blast guitar at this ungodly hour but I still wanted something creative to do with my time and that's where the idea for '365 Scribbles' came about. It's basically an original poem released every day for the entire 2017 year. To add some personality to this, I’ll be handwriting and scanning the poem, so that it's not just cold digital ink. I think that I’m going to be obsessed with the '365' project idea over the next decade or so and envisage myself doing many, many more of them. SMC - Where do the next 6 months of your career take you? Any Live shows? 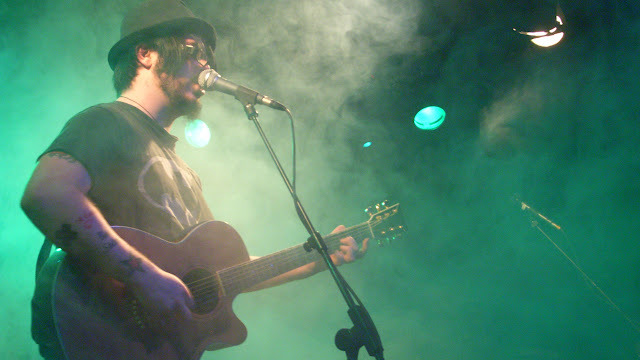 DF - I'm currently in the process of booking my first run of acoustic shows for December around Northern Ireland. These will be my first ever proper acoustic solo shows and some of my first performances in over ten years. Playing live never really appealed to me as I was a studio bird always just wanting to record the next song then the next one…. but 've slowly gotten to a point where I want to go out and play to the people. Beyond that, I want to release an all-acoustic album soon, ten tracks of just acoustic guitar and one vocal. I had a lot of surplus songs/ideas from the 365 Sparks project that I’d love to finish and record, it's just finding the time right now. SMC - What are your thoughts on being nominated for a competition like ours? What are your thoughts on this sort of event? DF -I founded and ran a music website for a few years called chordblossom.com and we did a yearly competition called 'Kickstart' [that you can see here: http://www.chordblossom.com/win/chordblossom-kickstart] that was designed to kickstart a band's year with a nice list of prizes. As I devised this myself, it's safe to say that I’m onboard with this kind of music competition event. Obviously, it elevates the winner, but it also does give a bit of confidence to the runners up too - some of our shortlisted bands have told me that directly - which was nice. It all comes back to being recognised for that which you love doing. SMC - Where does the creative process begin with for you when writing your lyrics? DF - I'm always scribbling lines into books or on my phone or even just storing lines in my internal brain memory. However, I cannot say that lyrics are ever my first thought when writing a song. Almost all of my demos start life with 'uhms' and 'ahs' in place of actual words - it's more important to me to get the melodies nailed down at an early stage. Once I have my 'uhm and ah' demo, I’ll then start slipping in words and phrases. Lyrics have always [thankfully] come really natural to me and I adore the challenge of having to write a line with a restricted amount of syllables. DF - It'll be my first time doing any kind of 'online show', but I’m looking forward to it so that people that aren't local can see me play some music live for the first time ever. I have friends that have done a handful of stageits before and its been recommended to me many times. It'll never have the same intimacy as a show in a venue, but that just comes with the territory and is to be expected. I have watched a handful of these types of shows, so I’m looking forward to hosting one. Awesome! See you then! SMC - Who are your biggest supporters? Would you like to give a shout out to them? DF - I was speaking to a friend the other day about how fortunate I am to have so many supporters despite the fact I played about 3 shows in ten years as 'Daveit Ferris' - one off appearances. It's hard to cultivate any kind of following when you're not out there, especially these days. I wouldn't like to specifically name anyone because there's a long list and I’ll forget someone and bruise that connection a little. My supporters all know I appreciate them! SMC - It seems that since our Artist of the Year winner IAMWARFACE scooped the win in June 2016, we have had an influx of British bands/Artists being nominated for our AOM competition. We are thrilled because it allows for us to bring those artists to North American soil. With that being said, what are your thoughts about the Artist of the Year competition in June 2017? What would you like to see happen in effort to build up to this event by our team at SMC? DF - I like the idea of the twelve 'artists of the month' musicians/bands competing for the 'artist of the year' crown - it's a nice graduation of the competition. I'd love to know more about the final competition as I don't currently know much about it to be honest. SMC - You are being showcased on a global platform that receives thousands of hits to the website daily and you were chosen for this position. What are your thoughts on sharing the stage with some of the industries best? DF - Being recognised for something I adore doing and would do it even if I lived alone in a cabin in the woods, is always awesome. 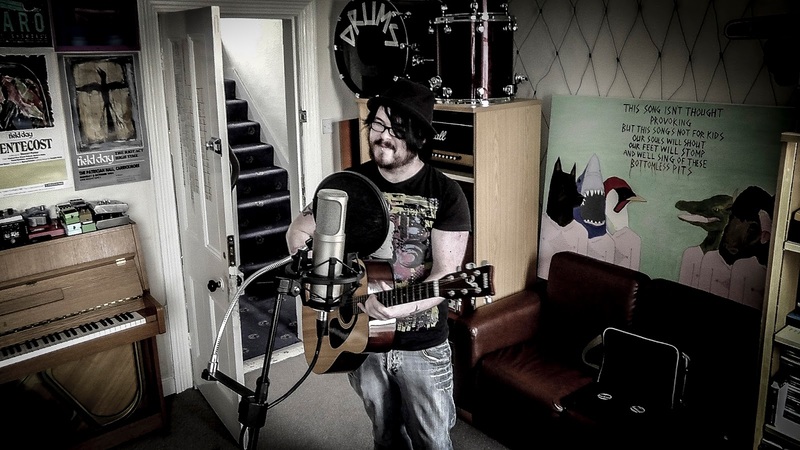 You know, in 2014 I pretty much spent every day alone in my studio recording those 365 songs and it got super lonely at times. But then when cool things [such as this accolade] results from all that work, it makes it all worth it. SMC - What is your favorite song that you have written to date and why? DF - This would be impossible to even narrow down to 50 [as I’m currently experiencing whilst trying to whittle down my live set list] simply because I have recorded and released so many songs that I still quite like. Like most writers, my newest stuff is always my favourite simply because it represents me 'now'. I know that sounds cliché to non-musicians, but you must remember, we are always evolving, so my newest songs have a slightly better falsetto now than there was before, my vibrato has improved about 25% in the last year too, so I’m naturally going to gravitate toward songs that showcase these skills way better, right? Lyrical content is probably the main reason writers always love their newest stuff the most, though. My feelings change constantly, so singing a song I wrote about someone who was in my life two years ago but no longer is, can be a difficult activity. SMC - If there were a band or Artist that you could go up against in the Artist of the Year event, who would that be and why? DF - I enjoy healthy competition, so I’ll always want to compete with the best. SMC - What is the most flattering thing a fan has said to you? 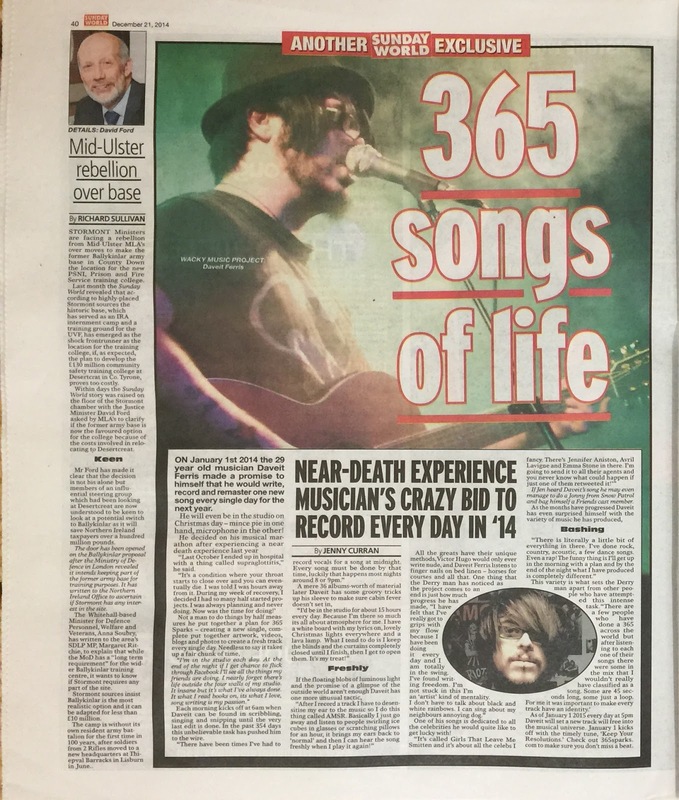 DF - Without a doubt, it's been those handful of special occasions when someone has told me that my music helped them get through a difficult period in their life. I know that this line is so normalized in our culture now, but think about that line for a second. Music that I sat on the edge of my sofa and wrote has positively affected someone going through a crisis on the other side of the world - it's an insane thought to feel that you've played a small part in the life of someone that you'll unlikely to ever meet. It astounds me when I hear that and always will. Those occasions have been super special to me. SMC - Can you tell us which instruments are your favorite to play? Which one(s) do you gravitate to when creating your music? DF - Guitar is what I started out on and it'll always be my go-to when I feel like writing a jam. I have written on pretty much every instrument I have lying around my studio at some point, but I’m most fluent on guitar and tend to gravitate to it about 95% of the time. I only tend to move onto writing on other instruments when I feel like I’m reusing 'guitar tricks' or that the songs are sounding samey. There's more than a handful of songs on the 365 Sparks project that I created on a computer - literally starting with a drum machine, adding synthetic bass, piano, organ, violins, etc. - before even considering the vocal or lyrics - that was an exciting new experience, but guitar will always be my writing weapon of choice. SMC - Final question, and we always like to ask this: If there was any advice you would like to give to anyone new starting out in the industry, what advice would that be? DF - Seek out constructive criticism as soon as you can. It'll hurt at the start, but you'll improve massively. In the very early days of my old band 'Mascara Story', I invited a popular and successful musician in my area, Cahir, to come to our rehearsal studio and give us feedback. It was painful to hear some of his points, but he was right ['your songs have way too many parts' - 'there's no need to overdo the drums in every section' 'you need to stop singing so high in the verses so that when you do in the choruses, they'll have more impact'] and ultimately it made us reassess ourselves and even drop a few songs we'd planned to record for our EP and include two much better tracks in their place. Our progression was worth that humbling exercise and I’d recommend all new bands to do this soon [and often]. Hannah Clive | October 2016 Artist of the Month Winner! SMC – Hello Hannah! We welcome you as our October 2016 Starlight Music Chronicles Indie Artist of the Month! Congratulations! Can you tell us what your reaction was when you first heard the news? HC – Thanks for the welcome SMC, and join your SMC Artists Alumni – it's an honour to be in such prestigious company. My first reaction to winning was complete surprise and joy, shouting "I've won!! I've won!!!" as I went running upstairs to my child. At which point said smaller person began jumping up and down. Together we looked at your online announcement whilst being repeatedly kissed, hugged and told "Well done Mum - I'm gonna tell all the other kids in school!" – as my friend and indie champion Rebecca Singer later commented online – the approbation of 'the Minnie Me's are the best'. Then Twitter lit up like a Christmas tree with all the amazingly encouraging and complimentary responses from fellow tweeps, I think I was getting 400+ notifications every couple of hours? Its still going! It went mad on my Facebook profile too. I felt genuinely quite humbled and emotionally overwhelmed. SMC – Where was the first Social Media platform that you discovered you had won? SMC – So let’s get into your music – can you tell us your background and chronological music career history? HC – The short or the long version?! Music has been my life – and I'm not 22! Basically I was brought up in an entertainment's family. My father was a well-known British actor and writer and my mother worked behind the camera in light entertainment production on BBC music shows, before giving that up to raise me and my older brother – the BBC hadn't heard of maternity leave at that point! So we were always a media household I guess you could say and therefore a degree of inevitability that we would both go into media. In my case – performance – beginning with a singing role in Evita alongside other kids in Andrew Lloyd Webber's London West End production. For me, that confirmed in my mind that being on stage was my thing. I wrote poetry and had piano lessons anyway so aged about 11, one day I combined the two and began writing songs, going on to form bands as I got older and meeting musicians – networking. Through my own connections with them, I crossed over into the mainstream music industry at about 17 by doing backing vocal sessions for other artists, including Ray Charles, OMD and others. This was an incredibly useful training ground to learn the craft of music making and performance, both in studio and live. But it was my own music I wanted to push forward which I tried very hard to do. However, at that time interest in female singer songwriters playing their own instruments was at an all time low - dance music and electronica were all the rage, synthetic bands - by the time that started to change I had become disillusioned with an industry that saw anyone over the age of 25 as a non-starter. So I took a hiatus from music and went off to live on a narrowboat. I returned to music when I saw more control pass to artists with the advent of Myspace and what was to become the digital revolution. Since then I've been raising a child alone and juggled that with my career and doing a Media Degree. My decision to return to study was a response to the fast growing realisation that unsigned acts needed many more skills than simply standing on a stage and performing. Given the state the music industry was in i.e. the rapidly diminishing returns for product – music professionals such as myself needed to diversify. After finishing my degree (when I also won Outstanding Adult Learner for London) I became even more aware of the plight the industry was in and the extreme difficulties new music makers were facing in trying to forge a viable career in music. I decided I wanted to help, to share their music, to support grass roots artists just like me and to protect our culture – music is a universal language after all. And that's what I've been doing online ever since at #HCHQ – supporting good quality emerging artists and the response has been amazing. There is an entire community out there actively helping new music makers including SMC. Some of us musicians have begun to understand that traditional rivalries need to be put aside and we need to help each other; there's strength in numbers after all and that’s why I began the #SupportArtists hashtag. That’s how I met (IAM)WARFACE who of course nominated me for this competition. SMC – Have you won similar competitions/contests where you have been nominated? HC – This is the first time I've ever won a competition like this or been nominated. My EP 'Richmond Park Sessions' won an award after it's release a few years back; entered into a radio poll in the States by an independent radio network, it won Best EP from a Solo Artist. But this is the first time I have been nominated and voted for as an artist in my own right. SMC – We also see that you have collaborated in a review of our Artists of the Year Iamwarface when they performed live. What has been your connection to the band to date? HC – I first heard of (IAM)WARFACE locally. I knew their guitarist Louis through his previous band and his wife with whom I've collaborated musically. I listened to their music and was blown away. And just as I have with other bands, I began interacting and promoting them - they responded with same. I guess I wanted to see at least one of our bunch get away and be successful because I knew they deserved it. This led to a growing professional relationship with the band leader Matt. Our virtual online friendship finally crossed over into reality when I saw them perform at John Wildgoose's unique 'Into The Wild Festival' earlier this year. I did a write up of my experience as a fellow musician going to the event - including a review of their performance. I am now playing there next year in 2017 as I understand it, on the same bill as Warface - which is so cool and a really lovely full circle. I decided to do the write-up because just like all those people who voted for(IAM)WARFACE as SMC Artists of the Year 2016, I thought they were so bloomin' good, they deserved shouting about and as bands we need to help each other. Warface had the smarts to recognise the need to interact with their fans themselves instead of having someone else do their social media and our connection would never have happened had we not both been doing our own social media. Matt is now working on a musical collaboration mixing a new track of mine. We musicians are a friendly bunch in the main, so we like to help each other out and my relationship with Warface is typical of that camaraderie - only we're using modern technologies. SMC – How do you feel about going up against some of the Music Industry’s most celebrated Indie Artists? HC – In a word - nervous! I'm older than many of them most probably but I hope with that comes something else, perhaps a broader lexicon of life experience upon which to draw. But either way I love my fellow artists and am just happy to see them getting up and over the barriers, accessing a wider audience; for them to achieve success and create viable music careers for themselves. SMC – If you had to ‘battle it out’ with any one of the industry peers in the October competition, who would you choose and why? HC – Hard to say. I was very nervous about battling it out with Chris Watkins' Drunk Poets. He is an incredible talent and such a lovely bloke too. He and I mutually cross promote one another online – I have a standing invitation next time I'm in Alaska to do a gig together! So finding myself up against him musically felt weird. But really, it was an honour to be amongst such a roster of pure talent and if we speak to one another's fan base, as well as each other, then we're all winners. SMC – Can you tell us more about your music – what is the creation process like for you? HC – It varies on whether I'm working alone or with others. If I'm writing songs alone it tends to be a slower process. I'm not one of those song-a-day songwriters. I tend to store them up in my head – subject matters – then the lightening strikes and I sit down and work it out. After that I begin getting it recorded, usually round at my Producer's studio. He knows about working with artists and how to get the best out of me creatively, having worked with Kate Bush and The Bee Gees. If other musicians or songwriters come to me with an idea I'm quick at producing lyrics and music content. I springboard off of what they're suggesting and knock those out really quick. In the case of 'The Lost Boy' with British jazz hip hop band The Herbaliser, I heard the music score and wrote the vocal melody and lyrics in about half an hour. The best ones always come out quick like that. Next day I took it to Jake and Ollie in their studio, we tweaked it a bit and then I sang it. Next thing I know its the title track of their new album and on Radio 6. That was cool. Its just topped 68,000 views on YouTube. SMC – What instruments do you play? HC – My main instrument is my voice. I was classically trained on the piano and flute and self-taught on the guitar - mainly because guitar is more portable than a piano to a teenager! And it's been my instrument of choice for writing and live ever since but I'm no virtuoso! That's changed with my new material - in that I've made a return to the piano - my first love and inspiration. Now all I have to do is work out how that translates live...perhaps I can take some tips from Christina Perri! Oh and buying a keyboard for live – that would be good! SMC – What is your greatest ‘fan’ moment? HC – Ooh thats a toughie! It depends on whether you're talking fans or peer recognition – when they give you a shout out – for example Huey from Fun Lovin' Criminals did on Twitter (he plays 'Lost Boy' on his BBC Radio6 show) and Jimmy Star on Twitter; Jimmy has the Number 1 most popular syndicated radio show on the net, yet he connects with people personally, bothering to take the time to tweet and support a grassroots artist like myself. If we're talking fans, then for me my best fan moments are from those lovely people all over the world, who I've never met before or seen me live, they've just got into my music and give me a shout out online. It's comments like those that truly move me. Its truly humbling, gives you faith in humanity, which is why I bother to do it myself, rather than using a computer generated answering system. We are nothing as performers without our audience - my Dad instilled that in me from an early age - my fans lift me up and keep me going. SMC – How do you feel following on the heels of your industry peers IAMWARFACE? HC – I am completely delighted and honoured to be in the same Alumni as them. For me, creatively they have the potential to be up there creatively with the likes of say Bowie because they aren't just music, they are art, performance and a brilliant contemporary example of music genre hybrids, challenging boundaries sonically and artistically. I just love that and can't wait to see and hear more from them. SMC – What are your thoughts on the 2017 Artist of the Year competition next June? Do you feel that you are at an advantage over other artists who, say, will be winning in June of next year? HC – I guess that rather depends on what I manage to achieve between now and then because of course having been October Artist of the Month 2016 I now have a longer run-in to the final Artist of Year in June 2017 – this time with the backing and promotion that SMC offers me as an artist. This interview being a good example! SMC – What is your view on the Music Industry in general – what is your experience? HC – I think we're in a transition stage in the industry whereby the water is still finding it's level. These are exciting yet challenging times in the industry. I think now, its a bit like back in the sixties with a burst of unrestrained musical creativity occurring – a post digital New Wave if you will. But somehow in there, we have to see fairer remuneration to artists - and not just those in the chain above them, it has to filter down to the actual music makers – be that at the top of the profession or those starting out. Collection societies have yet to get a proper handle on streaming revenues and proper distribution of them and that simply isn't happening at the moment, although there is movement in the right direction, block chain may yet be the answer. SMC – What is your family’s support of your music like? HC – Sadly my father passed away in 2012 and as a performer himself, he really understood what made me tick. But I have good support from my mother – she knows the industry – I'm a lone parent so she's a great help and besides her I have the unfailing support, belief and enthusiasm from my child. My friends are and always have been incredibly supportive of my career path. SMC – What is a ‘Day in the Life’ of Hannah Clive like? HC – Well it begins with getting up for the school run – SO not rock n roll! After that I take to the computer, go through emails and check all my social networks and respond accordingly. I might then go to the studio and work on a track or stay home and work on a piece. Then my duties as Mum take over again until after my kid's bedtime whereupon I go back to the computer and social networks. I often enjoy listening to unsigned music radio shows such as the brilliant #Unsigned Madness show with Stephen and Anne Lambert on EGH Radio or Teri's #Music Matters on Indie Rage Radio – I love being in their chatroom and talking with music lovers and fellow musicians from all over the world and I'm beginning to meet up wit them in real life too which is marvellous. When these shows finish, I go back to the SN's just before midnight because that’s when all my American fans come online and real time interaction with them is of utmost importance to me. Then its sleep! I've begun to make a return to gigging. But to do that successfully and like a lot of bands do, I needed to build a proper core audience of fans online first. I was tired of having to ask the same bunch of loyal friends along to gigs, hoping I might catch some 'passing trade audience' then being paid but finding that after paying my musicians, I was out of pocket. So now I'm working the "build it and they will come" philosophy! I'll know if it's working when I do Leeds on October 22nd as part of the Oxjam event! Plus, I'm seeing a huge jump in the numbers of my followers online – on Twitter mainly and now a crossover to Facebook. I prefer to use my Facebook profile (as opposed to the limitations with my Facebook artist page) – my profile is like a more intimate Backroom Hannah Clive Club – I get a more personal interaction with people on there. In addition, recently I've come to accept that love it or hate it – we do need Spotify because that's the medium people are accessing their music through. And to get known and build audience – I have to do that on Spotify – even if the remuneration is appalling (it's something like 0.0004 pence per stream? Pharrell famously only earned about $2000 dollars from his single Happy for the whole of north America, to give you an idea). So social networking forms most of my day, building my audience relationships, in and around all my other chores and domestic responsibilities that all Mum's have – my child's not so little anymore so I can concentrate more on my career. SMC – Can you tell us one unique fact about yourself that no one knows? HC – I like to take Jaffa cakes apart bit by bit slowly as I eat them. They are a British chocolate covered biscuit with an orange jelly in the middle and that’s the bit I end up with last. Apparently you can buy them in America at Lidl's. Oh and I've never had s'mores - we don't get them here in the UK, just marshmallows...can someone send me a red cross s'mores parcel from the States please for Halloween? SMC – Final question, if you had one piece of advice to give to new or up and coming Artists about the Music Industry, what would that advice be? HC – Network, keep playing and don't let the b**tards get you down, oh and if you're lady – tell 'em to keep their hands off. That's four! Be consistent in applying yourself, be kind and listen to what those older and more experienced have to say – don't be in a rush to show them what you can do, they'll find that out anyway because true talent shines through. Or as we say here in London: "Pin yer lug'oles back!" That was more than one piece of advice wasn't it? Always been a mother hen me! Can I just add, thank you SMC for giving me this opportunity and creating a space for so many other unsigned talented artists out there. Organisations such as yourselves are at the forefront of creating possibilities in what is a very difficult market and given that I believe music is a universal language that deserves recognition culturally, that's no small thing you're doing SMC. Big thank you on behalf of us all. After The Calm | June 2016 Artist of the Month Winners! Well it has been a Wonderful First Season of the Starlight Music Chronicles Artist of the Month Competitions! We couldn't think of a better way to round it out with such Enigmatic, Electric and Talented Indie Artists like After The Calm who literally are our highest recorded votes of the 2015-2016 Season! This is a band who recently came off tour alongside many of their industry peers such as Chunk! No, Captain Chunk!, Palaye Royale, I See Stars, Get Scared, and The White Noise and are working on their NEW EP! SMC – Hello Boyz! Epic win for the Artist of the Month Competition! Your band has had the highest amount of votes ever in this competition! Of course, you were at a bit of an advantage since this was also the first month that we opened voting up to the public along with unlimited entries. How do you feel you will do in the Artist of the Year Competition in Late June? Kody: We were stoked to hear we broke the record for votes, regardless of the limitations set previously. To us, that simply translated to being able to share a stepping stone in Starlight's growth! I have no idea what to expect with the AOY competition, but I will say that we have the competitive mindset fresh in our minds! Logan: I was honestly shocked when I found out how many votes we actually had. I think this just pumps us up more for the AOY Competition. Henry: It’s tough to say. We are the new kids on the block and have some stiff competition. We have a strong fanbase who believe in what we are doing, their voices will be heard. David: I feel that we will be a tough competitor. We have this momentum going for us that we haven't let go. It's fresh in our fans heads and we will push hard. SMC – So let’s go to the beginning....our readers who are just discovering ATC on our platform will want to know more about the band....can you tell us each of our names and what position in the band you are? Kody: My name is Kody Rattler, I play the drums in the band! Logan: My name is Logan Miracle and I'm the vocalist. 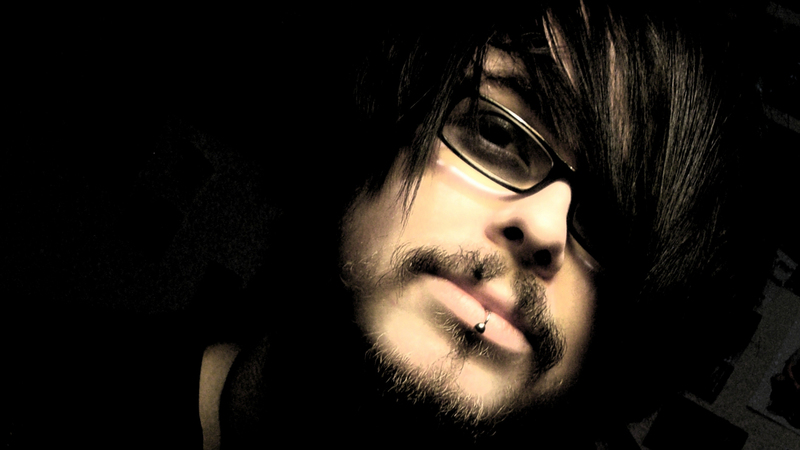 Jon: Jonathan and I play rhythm guitar. Henry: I’m Henry and I am the bassist extraordinaire. David: Name is David Nunez and I'm the Lead Guitarist. SMC- What kind of musical background do you all come from? Kody: I played in band throughout grade school, but as for the drums I'm self taught. Logan: I got stuck having to join choir in the 5th grade cause I couldn't draw and couldn't play an instrument . I didn't even want to sing then. But after that, I did choir from then on till the end of high school. Jon: I started by going to guitar center and buying a small amp and electric guitar at the age of 16. Since then I taught myself the last 10 years learning and playing songs I enjoy. Henry: Learned guitar while in high school but always had a strong connection with bass and rhythm so when I had the money I bought a cheap bass and went all in. Taught myself by ear from listening to my favorite bands and started creating music with my friends. David: I've been playing music since my middle school days. Back then I was playing clarinet in Band. Music tastes range between Incubus and Deftones. SMC – Is there anything cool or quirky that fans would like to know about each one of you? Kody: Whenever people ask me why I started playing the drums, I usually respond with an unexpected answer: Rock Band. I seriously bought my drum set because of Rock Band. I had always been into percussion through grade school, dabbling in guitar during high school. But yeah, Rock Band. Logan: Fun fact- The band found me on Craigslist! Jon: I really enjoy math and science, especially space! Henry: I am the only father in the group. I have a 4 year old son name Henry Jr and his legal middle name is Danger. He loves the band and tells people he plays guitar in the band. David: I would consider myself a multi-instrumentalist. I started out as the bassist of the band. SMC – So we saw that you were on the Light In The Cave tour recently with quite a few notables such as ‘I See Stars’, ‘Chunk! No, Captain Chunk!’, Palaye Royale, `Get Scared`, and `White Noise`. How was that experience for you all? Kody: The experience was surreal. We have been doing this for a solid two years now, playing local shows and slowly establishing relationships. When it came to the Light In The Cave Tour, K And Z Entertainment had offered us a slot on the Arizona date. Our dear friend Kenny Johnson had played an important role in getting us this offer, as he vouched for us prior to K And Z ever hearing our name. They took a risk by letting a random local band play that show, but boy did we make sure to leave our mark! We ended up breaking our personal record in ticket sales, somewhere just over 100 total. The show was sold out, which was an unbelievable first for us. Then meeting the bands themselves made everything so much more worth it. It's one thing to listen to these bands on Spotify every day, but another to be able to shake their hand and share the stage with them. Palaye Royale led us in finding Starlight, so that show was a huge stepping stone for our development! Logan: Just the fact that we were able to set the tone for that night before the other bands was amazing. During our set we were all in our element, but after the other bands came up I was another fan in the crowd. Jon: It was by far the best concert I have played at. All the bands put on an amazing show and just meeting and talking with them was a great experience. Henry: (In the comic book guys voice from the Simpsons) Best experience ever. Getting that opportunity to speak with them and seeing how many fans came to that show was eye opening. Showed us that we really can reach for the stars. David: That whole experience was eye opening. That's the first sold out show we've played. The line was so long some of our fans didn't even get in until after our set was finished. We hosted and played a free house show for our fans because of it. SMC – So how do you feel going into an Artist of the Year event so soon after your AOM win? Do you feel you are at an advantage compared to the other Artists who have won, say, since August or September of last year? Kody: All I can say is timing seemed to be perfect for us. To win the 12th AOM and automatically dive into the first AOY.. talk about luck. We were very stoked to hear we could enter out first competition, but then even more excited to find out that winning meant we could be in our second competition directly afterwards! We are fired up with excitement, which I imagine is an edge over winning the contest several months ago! Logan: I think it's good for us cause now our fans will still be amped from the AOM competition and go full force into the AOY. Henry: Being in people's mind at the moment could be good and bad, can't leave it up to chance, have to be in the mindset that the other artist are in. David: Yeah I feel we are somewhat at an advantage since it still fresh in people's minds but the advantage I see other bands having is time. They had time to develop their career and add a following that could be in the thousands. SMC – So we see that there is some new music on the horizon! Can you tell us when we can expect that to release? Kody: New music indeed! We are so blessed to have made it this far with our music. Two years of practice, and two singles later, we were finally ready to record our first EP. Recording will be done by the second week of June, from there it’s just a matter of doing the artwork, presenting the actual package and printing copies! We are about to fire up our first kickstarter page this week, which will tell us how fast we can get the EP out to everyone! Realistically, I'd say everything will be wrapped up by July! David: Anything before the end of summer is what we are currently shooting for. SMC – Does the band have any plans to tour in the next 6-12 months? Logan: Once the EP is released we plan to play lots of shows throughout the Valley in AZ. There are plans for a small West coast tour towards the end of the year. Jon: Yes!! Our goal is to do a small west coast tour before this year ends. Henry: Its always in the back of our minds. One thing at time. David: Probably a mini west coast tour. We still need to figure out all the logistics. SMC – What do you think is the recipe for success in the Music Industry? Kody: The recipe is recognizing that it’s not a competition of who can play better, or who has a bigger following, but rather enjoying your music for what it meant for: self expression. You've got to appreciate everything that comes your way, good or bad. Go to local shows, support your friend's band who is also trying to achieve the same goal. Networking with one another is how this industry thrives. People remember the encounters they have with you, and they'll recite them to their friends later. Leave a positive story to tell. Logan: Just be real. Not only to others but to yourself. This isn't a competition. Music is an art. An art form for anyone and everyone to express themselves in different ways. I think just being genuine is a major key to moving forward in this business. Jon: Basically like everything else in life which is to work hard and do your research and never give up. Henry: Risk and Reward. We took a risk just making music, playing shows and entering this competition. So far so good. David: Believing in your music no matter what and finding others in the industry that do too. SMC – We hear all the time how difficult it is for Indie Artists to tap into new fans...do you feel that’s because of Social Media? Logan: I believe social networks have only broadened the reach for artist to communicate with their fans. I mean we have a few fans on our page from other states! I think it's cool how someone can spread a band to their friends who can easily you home and find that artist and become a fan themselves. Jon: Social media is a great help in today's world. We are able to keep every notified about everything going on in the band. Henry: I think it’s the internet in general. Bands think by posting a flyer online about a upcoming show that people will go. They lose the person to person interaction. David - I feel it's quite the opposite. It's because of Social Media that we are connected to everyone on the planet that has an Internet connection. What I think is difficult is standing out amongst all the new artists out there. I think there is thousands of great artists that just don't know how to connect to people. There's a lot of talk out there and what people want is artists that walk the walk. Put on a great show that gets the audience involved and literally figure out things that the fan can benefit from. We always try put ourselves in our fans shoes whenever we make any decision because we actually give a s**t.
Kody: We've leaned our sound to other bands that we fancy such as A Day to Remember, The Story So Far, Neck Deep, etc. We all really like the writing, message, and progressions of these bands, and we tend to look into their successes. We study what these bands do while they're both on and off stage, how they proceed to handle their business. There's always more to learn. Logan: Me personally, I am all over the board when it comes to music. I listen to different genres ranging from Pop, Rap, Metal to even Jazz. Jon: My influences has been System of a Down, Slipknot, Red Hot Chili Peppers, Incubus, and so many more. Henry: Watching I See Stars and the crowd participation was influential for us. Getting off the stage and into the crowd really stuck with us. David: Cory Spotts (Producer) and Kenny Johnson (Photographer). Cory took our music and pushed us to make it better. He's not an order taker where we ask he serves. He educates us and we are better for it. Kenny took us under his wing and helped guide us to understand there's no mountain high enough. If we have the will, we can make it happen. These lessons are invaluable and speak loud to the idea of surrounding yourself with good people. 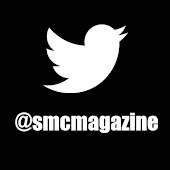 SMC – What is the image that the band hopes to project in terms of ‘Branding’? Kody: Honestly, we're just here to have fun with our music and make new friends along the way. If we have a crowd going wild with us, that’s all we need to go on! If there’s any branding going on, it’s just five goofy dudes from Phoenix Arizona who want to prove that nothings impossible. Logan: I wouldn't say we're trying to make a "brand" as much as just being us. We're five crazy guys who love to play music. No matter where or to however many people, we're there to jam out and have a great time. Jon: To show that your dreams will come true with hard work and dedication and that it is always a team effort. David: Branding is a tricky thing because we don't want to put ourselves in a box. We have five very different people in the band. Our ages range from 21 to 31 but there is a thread that runs through all of us. We are decent human beings that love music. We show our appreciation where it is due and try to make every experience a good one. As long as we keep doing that then we are projecting an authentic us. SMC - Can you tell us about any funny fan moments? Kody: We played a show at the Nile Theater in Mesa Arizona a while ago, and had met this young man named Kittrell. He's from Tucson Arizona, which is a solid two hours south of Mesa. His band was supposed to open that night, but they hadn't showed. He didn't let the absence of his band stop him from playing his set though. Instead, he took his time slot and rocked out some intense guitar solos. We watched in awe as he still gave it his all. He appreciated the fact we encouraged him to keep doing what he's doing, regardless of the others bailing on the show. When we had been a few songs into our own set, Kittrell came flying on stage and danced around like it was no one’s business. He was truly there to have fun, and that he did! Logan: I think when I was at a Circle K one night and the employee was listening to Get Scared and remembered our band from the Light In the Cave Tour. SMC – How about fan moments that really touched the heart? Kody: I feel the most touching fan experience I've had so far was with our friend Rosalina. She was one of the many we had met through Palaye Royale, of which she had one of the more direct responses I've seen. I introduced us, explained to her that we opened for Palaye when they came through our town, and offered her our YouTube channel. Her directness was when she told me she liked what she heard, but it wasn't enough: she wanted more. I realized at that point that she was right. It was hard to show people who we are with only two singles. Of course we had already scheduled to record the EP, but it sure fired the desire to get the new tracks recorded that much more! It was nice to see the honesty in her response. Logan: In our music video for Cups there is a scene where one of my best friends Keenan is crowd surfing in the tiny living room we were playing in. He came right up to me and shared the microphone with me. Every time I look back at that I just smile. Cause that's a moment we'll be able to share forever. Jon: At one of our shows a new fan that saw us for the first time came up to us after our set and asked if he could get one of my picks and have us sign it. We talked for a bit and it was so nice seeing how just 20 minutes of our time meant so much to a stranger. Henry: I was hanging out at the bar after a show with my family and friends and lady who typically was not in our demographic came up to me. None of us knew her but she had the courage to come up and start a conversation. She brought her daughter and her friend to the show to see another band that night and she really enjoyed our set. After speaking for a bit she drew up the courage to ask for a picture with myself, I wasn't expecting that. Made my day. SMC – In terms of the June 2016 AOM competition – you boys really shared the info on it! How do you think the social media awareness is on the part of SMC? Kody: From a fan standpoint, it was very clear and concise. We simply said follow this link and vote here! Of course we made sure to let everyone know the purpose of the competition, but the process made it an easy request on their end. From the SCM team's standpoint, I’d say they did a great job at promoting! The bios were easy to find, you could follow links to each artist and do your research accordingly. You guys were great at keeping everyone excited! Logan: I think the way SMC went about gathering info for each artist was very easy but professional at the same time. Fans that like SMC but don't know any of the artist can get right to their pages from SMC. Jon: The entire website and way this competition works is amazing. I've thoroughly enjoyed the entire experience. SMC – How do you feel your new music will be different than your previous releases? Logan: Valor was the first song ever for us. The riffs were written even before I was in the band! And with a small lineup change in the recent past, these new songs are so different. But I wouldn't say sound wise. I think it's a greater representation of what ATC is about. The music and lyrics on this EP hit home hard for me. I poured my heart into all of these songs. And I'm hoping we can transfer that emotion to the listener. Be ready for it. Jon: We have grown a lot in the past 2 years and everyone has gotten a lot better at writing and collaborating as a team. This new EP will really show our growth as a band. Henry: Prior to recording our current E.P we sat with our producer and he gave us some feedback about where to go with the new music. Since then the music has been grown and really matured. 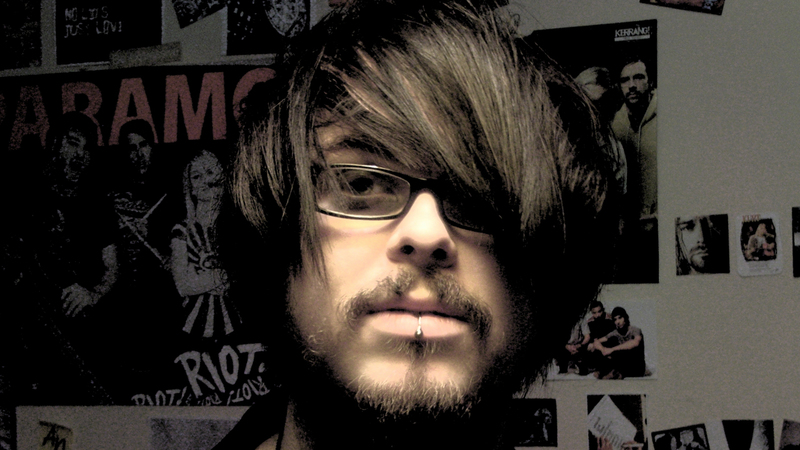 David: Our two singles currently only highlight our pop-punk side. This E.P. will surprise a lot of people. There is something for everyone on this album and we can't wait to share it with the world. I will say that two songs will showcase our growth as songwriters. SMC – Okay, Last question: If you had to tie with any one of our Previous Artist of the Month winners, who would that be and why? Unanimous: Malaya. It would be nice to tie with another full band that shares the same concept that we do!